Bali, a tropical island in the Indonesian archipelago, is so picturesque and immaculate it could almost be a painted backdrop. It has rice paddies down hillsides like giant steps, volcanoes soaring up through the clouds, dense tropical jungle, long sandy beaches, warm blue water, crashing surf, unique traditions and friendly people who don’t just have a culture but actually live it. In Bali spirits come out to play in the moonlight--every night is a festival and even a funeral is an opportunity to have a good time. Bali is a shopper’s paradise, particularly for casual and tailored clothing, locally made jewelry, handicrafts, antiques and artifacts. Lets experience and explore Bali under the guidance of an experienced and knowledgeable local guide who knows Bali well, from the monumental views and historic sites to privileged access to the everyday Balinese lifestyle. People come to Bali with different interests and needs. Your tour will be very flexible and very much based on your interests and needs. I will be happy to provide you with many suggestions whenever needed to make your Bali experiences exceptionally pleasurable. 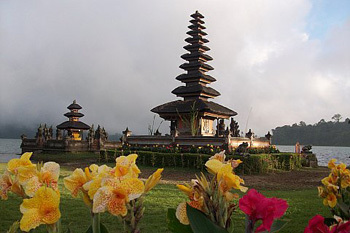 The tours will avoid busy main roads as much as possible to experience more of the real Bali. You'll meet Balinese people and farmers at work, see how they cultivate their fields and grow rice and vegetables with unique irrigation systems that have been practiced for thousand years. Visit their traditional villages and their houses to see everyday Balinese lifestyle, where you can understand about Bali’s history, culture, philosophies, religion, tradition…etc. I am also available for pick up/drop off from any part of this island including the international airport of Denpasar. I have the most competitive prices, and I am happy to share this with you if you have an interest in using my service.